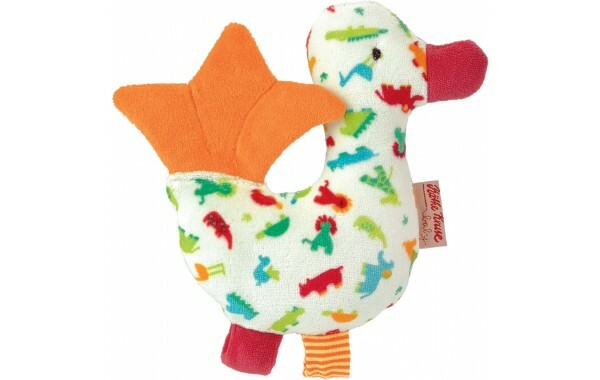 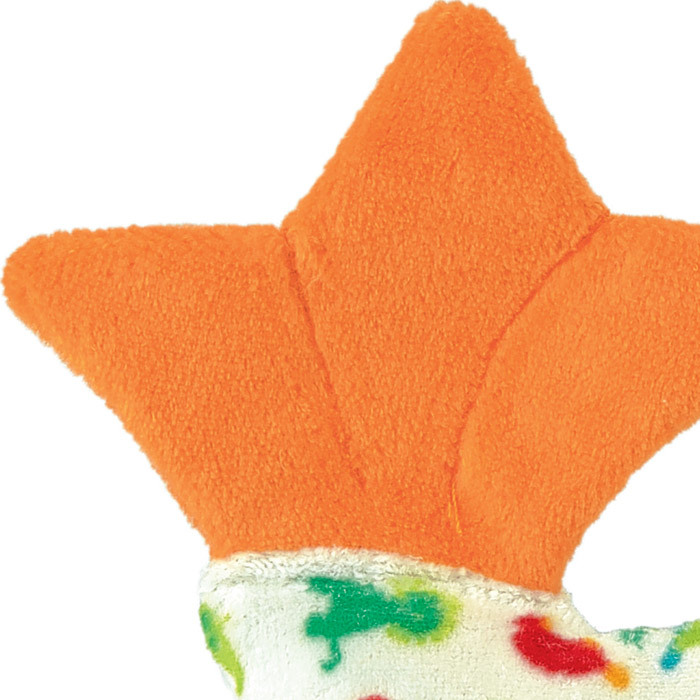 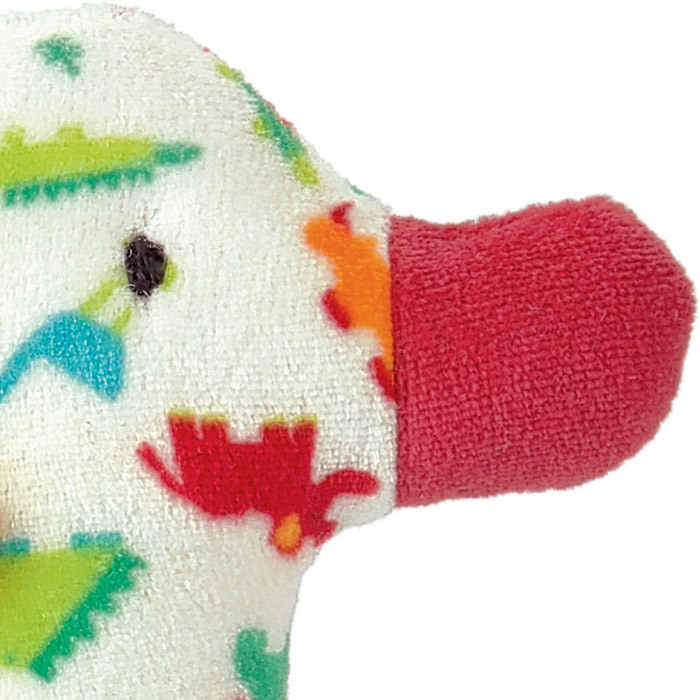 The ikibab duck is made from custom print fabric with grasping loops and features for curious fingers to explore. 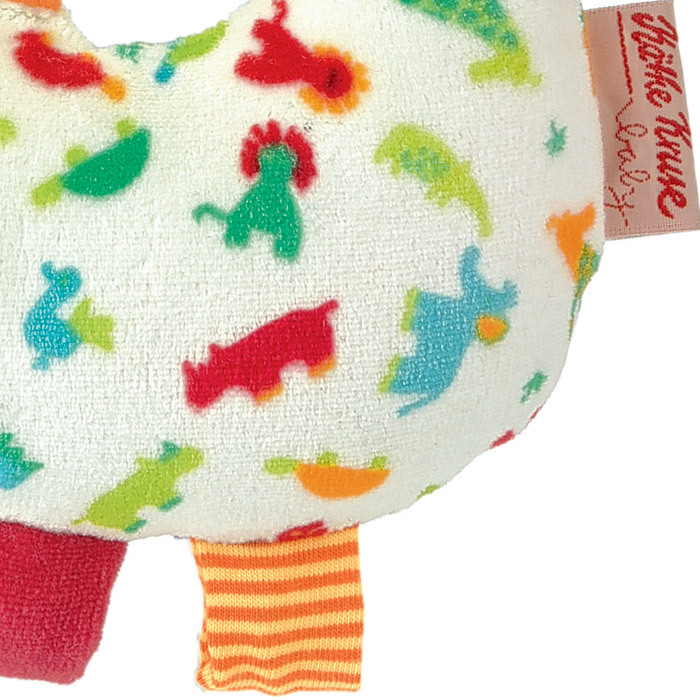 The internal rattle provides soft jingling sounds when shaken and helps discovery of cause and effect. 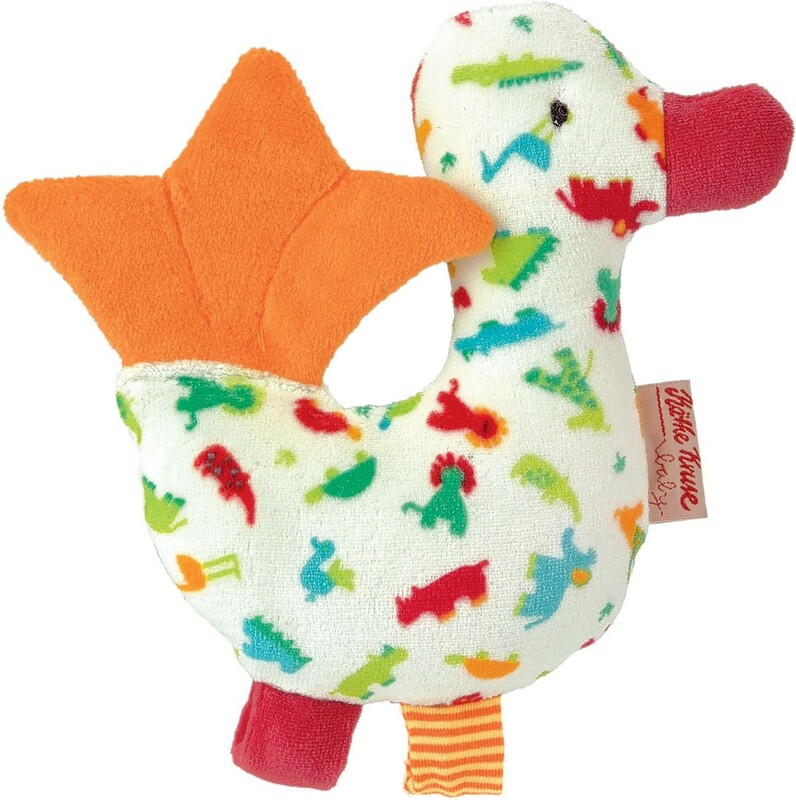 The fiberfill-stuffed duck is a perfect baby shower gift.